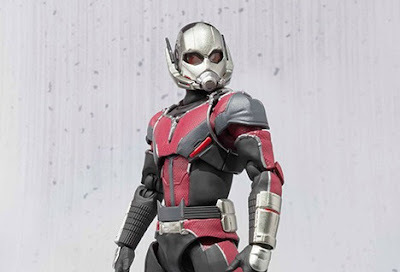 The Japanese collectible-maker SH Figuarts has released the first pics for its Ant-Man figure. The new figure is based on the costume Scott Lang (Paul Rudd) will don in Marvel's upcoming Captain America: Civil War. If you want to add Ant-Man to your collection he'll set you back around $55.